Lawmen today claimed arrest of 14 Nigeria nationals in Dhaka for amassing money through duping Bangladeshi businessmen through social media. 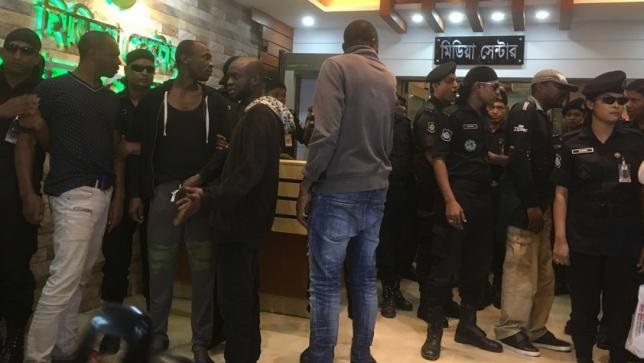 Rapid Action Battalion (Rab) made the arrests from Khilkhet and Bashundhara Residential areas early today, said Lt Col Sarowar Bin Kashem of Rab-1. They lured victims claiming to have sent valuable gifts from abroad and saying they were stuck at the customs department. Then they asked for money. The fraudster racket almost made Tk 30 lakh per month on an average through this process, the Rab official said at a press briefing this morning.